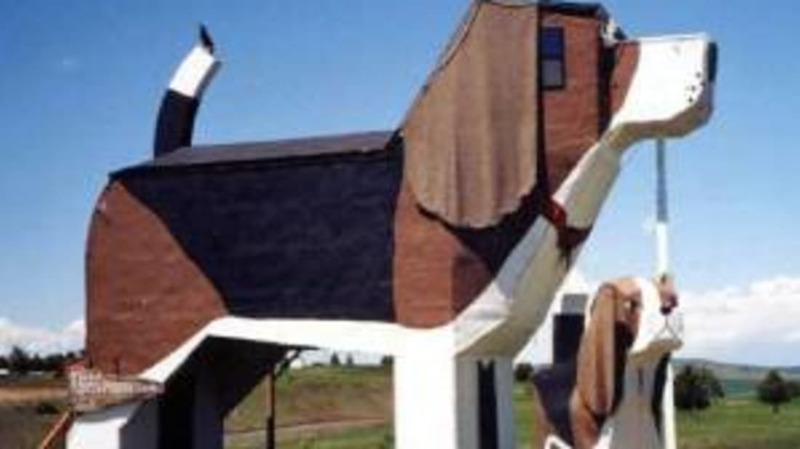 The Dog Bark Park Inn of Cottonwood, Idaho, has all the standard features -- queen bed, continental breakfast -- with one twist: the building is a two-story-high beagle. Also, in the hotel gift shop, you can buy "whimsical chainsaw artwork," which I think means wooden sculptures, not movie massacre paraphernalia. At the deceptively normal-sounding Woodlyn Park in Otorohanga, New Zealand, you have your choice of accommodations, from a 1950s Bristol Freighter Plane to a train car from the same era. Not into transportation? May we interest you in the "World's First Hobbit Underground Motels" instead? Decked out with "a well-appointed kitchen including microwave and washer/dryer, cascading waterfall-style shower, and a flagstone hot tub," your room at Kokopelli's Cave in Farmington, New Mexico is sure to please, as long as you like spelunking or at least a brisk downhill walk. The one-bedroom hotel is 70 feet below ground, carved into a 65-million-year-old chunk of sandstone. Sorry, no elevators. Of course, for the musically inclined, there's always the Hotel California in Santa Monica or Heartbreak Hotel in (of course) Memphis.